When the St. Louis World Fair closed on December 1 of 1904 more than 19 million people, or roughly one in four Americans, had attended. The gargantuan exposition included over 1,500 building including 37 building representing states across the country. The Wisconsin building was designed by the architectural firm of Ferry & Clas of Milwaukee which had also designed Wisconsin’s official buildings for the world’s fairs in Buffalo in 1901 and Omaha in 1898. Ferry & Clas was one of Wisconsin’s best known firms at the turn of the 20th century. It was started in 1890 when architects Alfred Clas and George Ferry joined forces. Alfred Clas was born in 1859 in Sauk City to German immigrants Adam and Magdalene Clas. Adam Clas was a carpenter and worked in that capacity after moving his growing family from Milwaukee to a small village on the edge of the Sauk Prairie. Alfred Clas was schooled in Sauk City before working as a messenger in the state senate in Madison and later becoming an apprentice to a Milwaukee architect. He then moved to California for two years and gained experience with a Stockton, California architect. When he moved back to Wisconsin in 1881 he became a partner with Milwaukee architect James Douglas, who specialized in residential design. During this time, as a young architect of 25 Clas designed Park Hall in Sauk City for the German Free Congregation. His father was a charter member of the group and Clas was raised as a congregant. After Clas’ partnership with James Douglas dissolved in 1886, Clas had a solo practice for four years before going in partnership with George Ferry. The firm went on to design over 300 buildings across the state, many of which are on the National Register of Historic Places including the Milwaukee Public Library, Captain Frederick Pabst Mansion (now a museum) and the Wisconsin State Historical Society building. When he was 24, Alfred married Louisa Wick and the couple had two sons Angelo and Rubens, both of whom became architects. Alfred Clas never forgot his roots and returned time and again to design and oversee buildings in Sauk County. In 1904 Ferry and Clas won the competition to design a new courthouse for Sauk County. Clas also designed houses for Charles Ringling, Jacob Van Orden and August Reinking in Baraboo. After his partnership with George Ferry ended in 1912 Clas designed a new high school in Sauk City in 1916 and an entrance park for the new Sauk City bridge in 1922. In the early 1920s he was invited to Florida to design a new palatial residence for Charles Ringling that would cost $880,000 when it was finished. During his career Clas influenced other younger architects like Richard Phillip, Peter Brust and Elmer Grey and also served on the Milwaukee Board of Parks Commission for fifteen years. Clas is responsible for the design of many parks and park structures citywide. Alfred Clas died in 1942 and was brought back to his hometown and laid to rest in the Sauk City Cemetery. The red brick house in the middle of Ochsner Park was also designed by Alfred Clas in 1884. Over thirty years later Clas would design the bandstand at the park which turned 100 years old in 2019. Alfred Clas designed three homes for circus showman Charles Ringling. Baraboo – 1900, Evanston, Illinois 19?? and finally Sarasota, Florida 192? August Derleth was any librarian’s model patron. Visiting at least three times a week, Derleth grew up as an avid reader in his hometown of Sauk City. He would later amass a personal library of over 12,000 volumes. 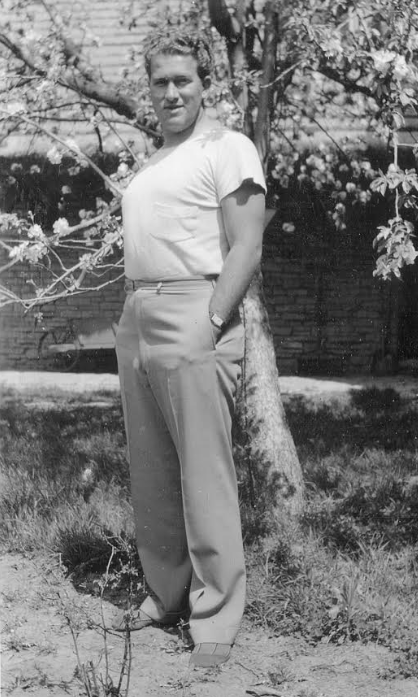 But Derleth did not grow up only reading he also grew up writing. Derleth sold his first story to Weird Tales magazine when he was 16 years old. The experience sealed his ambition to become a writer and Derleth never looked back, becoming a prolific American regional writer best known for his stories of life in and around his hometown. Derleth also wrote poetry, historical fiction, science fiction, detective fiction and biography. Born to William and Rose Derleth in 1909, August Derleth grew up attending the local Catholic school and went on to receive a BA from the University of Wisconsin in 1930, writing professionally the whole time. In the 1930s he began writing about the Sauk Prairie area in a collection of works which he called the Sac Prairie Saga. In 1938 he was awarded a Guggenheim Fellowship to continue working on the saga which included fiction, historical fiction, poetry, and non-fiction naturalist works in the form of novels, short stories, poems and journals. These works caught the attention of contemporary writers such as Hamlin Garland, Zona Gale and Sinclair Lewis. In 1939 Derleth founded Arkham House Publishers which was primarily devoted to the works of the late H. P. Lovecraft, Lord Dunsany, Algernon Blackwood, A. E. Coppard and others. During his busy career, Derleth found time to be involved in the community volunteering with youth, serving in government and in social organizations. Derleth conducted a Ranger's Club for youth, served as clerk and president of the school board, served as a parole officer for the Sauk County Court, organized a parent-teacher association and a local fraternal club. He was also a lecturer on American Regional Literature at the University of Wisconsin. From 1941 to 1960 Derleth was the literary editor of The Capital Times of Madison, Wisconsin. In 1939 Derleth had a custom house built just outside of Sauk City with the help of his father who was a skilled carpenter. The house, which was christened Place of Hawks, was clad in local limestone and covered with a thatch roof. Derleth married Sandra Winters In 1953 and the couple had two children, April Rose and Walden William, before they divorced in 1959. Derleth is perhaps best known for his work entitled Walden West which was published in 1961. Like the Sac Prairie Saga the piece is based on observations of the people and places of the Sauk Praire and is organized around the themes of "the persistence of memory...the sounds and odors of the country...and Thoreau's observation that the 'mass of men lead lives of quiet desperation.” Walden West has been compared to Thornton Wilder's Our Town and Edgar Lee Masters' Spoon River Anthology. Eight years later Derleth published Return to Walden West which included a great emphasis on environmentalism. August Derleth died in 1971 leaving behind an impressive body of work of over 3,000 individual pieces. His work is promoted today by the August Derleth Society of Sauk City, Wisconsin. It was said of Agoston Haraszthy that he had a “thousand ideas” and put them all in motion. He was born to Karoly and Anna Maria (Fischer) Haraszthy in 1812 in a parish of Pest, Hungary. While during his time in Wisconsin Agoston would use the fictitious title of “count” the Haraszthy family was indeed of noble descent, only the kind that was not land or money rich. Agoston married Eleonora Dedinszky in 1833 and the couple had two sons in the following two years. In 1840 Agoston temporarily left his family and sailed with his cousin Karoly Fischer to the United States. While on board the ship he read a copy of A Diary in America, With Remarks on Its Institutions which particularly praised Wisconsin, which was then relatively unknown. The book extolled Wisconsin as “the finest portion of North America not only from the soil, but its climate. The air is pure, and the winters, although sever are dry and bracing; very different from, and more healthy than those of Eastern State.” Agoston eventually made his way to the Sauk Prairie area where he was enchanted with the scenery and the obvious potential. Though the land was still owned by the federal government he bought the claim of an earlier settler. Agoston met a British immigrant with means by the name of Robert Bryant in Milwaukee who was interested in Haraszthy’s ventures. The business partners platted a village around 1841 and named it Haraszthy (today Sauk City.) Lots were sold even before the land was available from the federal government. The partners also started a brick yard, built a hotel, and purchased a steam boat for commercial use on the Wisconsin River. Agoston also owned the ferry that crossed the river and held the charter to build a bridge across the Wisconsin River but never started construction. After he was established he brought his family including his mother and father Hungary to the fledgling settlement. In 1842 Agoston bought land in Dane County across from Sauk City dug a wine cellar in the hillside, planted vines and started a winery. While his experiment ultimately failed due to winter conditions and the types of vines he grew, he laid the foundation for what was later resurrected and became Wollersheim Winery. The news of the California gold rush reached Sauk Prairie in 1848 and the Count decided to head west along with his family which now included six children. When he arrived, he once again found a business partner and started several ventures including fruit orchards, a livery stable, a stagecoach line, and a butcher shop. He also planted grape vines again and this time they flourished. 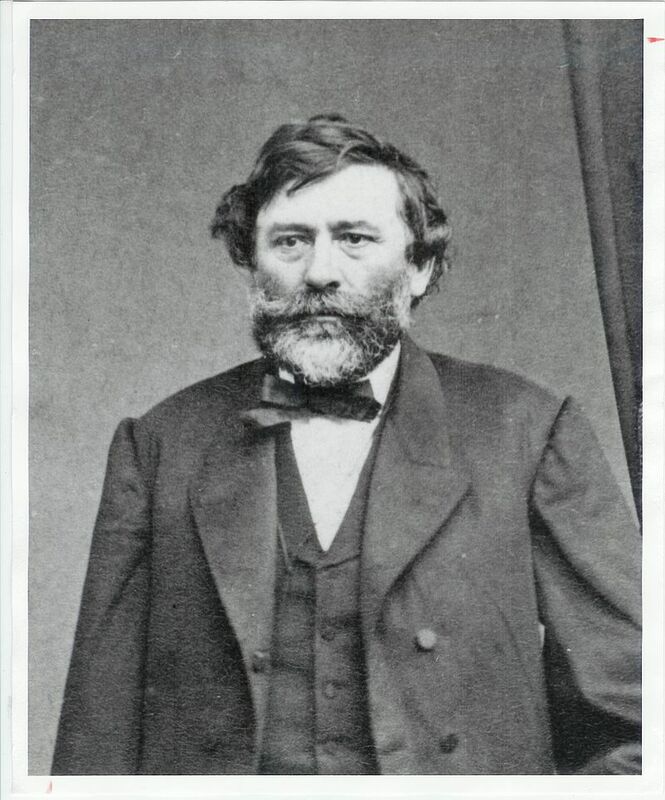 He was so successful he became known as the “Father of the California Wine Industry.” His great great grandson produces Zinfandel to this day. Somehow Auguston found time to be elected sheriff of San Diego County and also served briefly in the California State Assembly. Ever restless, Agoston went to Nicaragua in 1868 where he was going to produce rum. He disappeared while on a river at his property there in July of 1869 and was never seen again. “The people are tired of this progressivism and will welcome anything that will bring about a change,” said Emanuel Lorenz Philipp in the spring of 1914. A fifty-five year old, self-made millionaire, Philipp had just inherited the leadership of the conservative Stalwart wing of the Wisconsin Republican Party at a time when Progressivism was ascendent. His biography reads like the classic American success story. He was born on the family farm in Honey Creek, the son of Swiss immigrants Luzi and Sabina Philipp. Educated first in the local district school young “Nalle” Philipp raised a flock of turkeys which he sold for $100 to pay tuition and board for a year’s high school in Sauk City. At the end of one year he passed the test for a rural teacher’s certificate and, at age seventeen, was teaching in a country school. After three years he set off for Madison to find work on the railroad. In short time he was named depot agent for the C & NW in La Valle and so impressed his supervisors that they promoted him to dispatcher at Baraboo. While there he also impressed young Bertha Schweke, daughter of Reedsburg’s leading storekeeper, and she agreed to marry him. brewery and managed the refrigerated transport of millions of barrels of beer. He eventually took over the Union Refrigerated Transit company and leased thousands of ice chilled box cares, chiefly to breweries. Philipp was already involved in politics, opposing what he believed were the antibusiness, pro-regulatory policies of the Progressives. By 1914, he was the leading conservative Republican in the state and was nominated by the Stalwarts to run for Governor. That year, despite the bitter opposition of La Follette, Philipp became the only conservative Republican to succeed at the polls. “The people did not believe either La Follette or Philipp when one denounced the other. They liked them both and they voted for both,” said Philipp’s biographer Robert Maxwell. Philipp was re-elected in 1916 and presided over the state during World War I. When the Wisconsin National Guard was called up for active duty in 1917, he dispatched the Adjutant General to New York to buy $750,000 of equipment and guaranteed the purchase with his own assets. An excellent manager, Philipp won laurels for Wisconsin as the state whose troops were best-prepared for duty. He spoke out against anti-German extremists, denounced vigilantes, and ordered local officials to respect the civil rights of all citizens. He had little trouble winning a third race for Governor in 1918 and was called upon to serve again in 1920, but refused. Instead, he returned to Sauk County where he bought a Sauk Prairie farm in the Town of Sumpter he had admired, but could not afford, as a boy. Emanuel Philipp lived the life of a gentleman farmer until his death in 1925. After Governor Philipp’s death his farm became the site of the first foundation of Cistercian Nuns in the United States. In 1957 six nuns from the monastery of Frauenthal in Switzerland founded what would be known as St. Ida’s Convent. 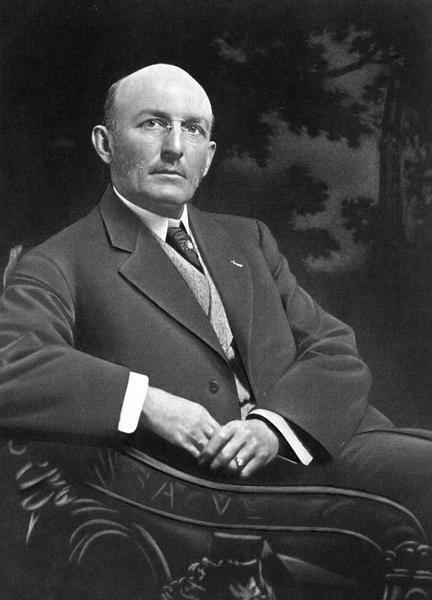 When J. S. Tripp died in 1915 his will left over $550,000 to the University of Wisconsin, an amount equivalent to over $13.7 million today. The board of regents was to use it as they saw fit. Some of the funds were used to build dormitories with one of them being named Tripp Hall in Mr. Tripp’s honor. The funny thing was that J. S. Tripp never attended the University of Wisconsin. He was aware however of the importance of a good education, something he had not always had access to growing up. Jedediah Stephens Tripp was born in July of 1828 in Duanesburg, a small hamlet near Schenectady, New York, as the second of nine children to Silas and Martha Tripp. He attended country school when he could but it often was not available. He begged his parents to go to Schoharie, New York to the Schoharie Academy to further his education which they allowed him to do but were not able to help him pay for it. Tripp earned his way by teaching and tutoring. In 1850 he became engaged in a lawyer’s office in Schoharie and learned the law, being admitted to the bar in June of 1853. Later that year, he moved west to Wisconsin first landing in Baraboo where he opened up a law practice. He soon moved his practice to Sauk Prairie living in Sauk City and later in Prairie du Sac. He quickly found success as a lawyer but also served in public office. Tripp was postmaster of Sauk City from 1854 to 1861, town clerk of Prairie du Sac for sixteen years, president of the village of Sauk City for eight years and president of the village of Prairie du Sac for twenty years. He also served as a member of the Sauk County Board of Supervisors for fifteen years, serving as chairman of the board several times. In 1862 Tripp was elected to the Wisconsin State Assembly. Tripp got into banking almost by accident after agreeing to store money for some of his clients in the safe in his law office. In 1868 he began a legitimate bank in his office which grew steadily and by 1887 he quit his practice and concentrated on banking. The Sauk Bank flourished and through sound investments and careful saving, Tripp became quite successful. In 1912 he made a $10,000 gift to the village of Prairie du Sac to pay for the construction of a new library and village hall. The new two-story brick building housed the library on the first floor with a large room on the second floor used for village meetings and for local court cases. The building still stands today as the Tripp Heritage Museum. Despite his business concerns and public service, J. S. Tripp somehow found time for family life. He was married in 1857 to Fannie Hallett who died in 1865. Nine years later he married Nellie Waterbury and the couple had one son who unfortunately died as an infant son. Nellie died in 1893 and Tripp took care of her parents until their deaths. Working until the end, Tripp died in 1915 several days after his 87th birthday and was buried in the Sauk City Cemetery along with his two wives and infant son.